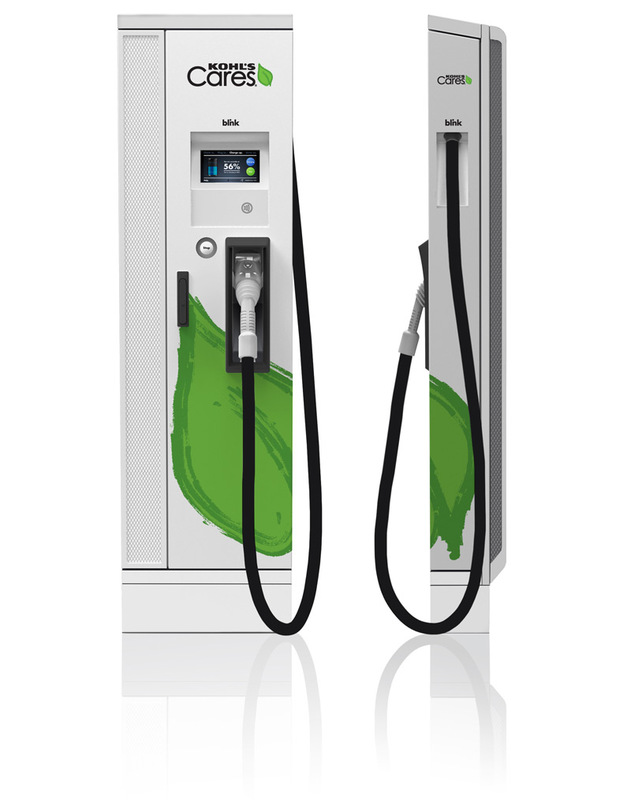 Wrap design for Kohl’s Cares applied to Blink Pedestal EV chargers. Wrap design concept for Kohl’s Cares, the charity arm of Kohl’s department stores. 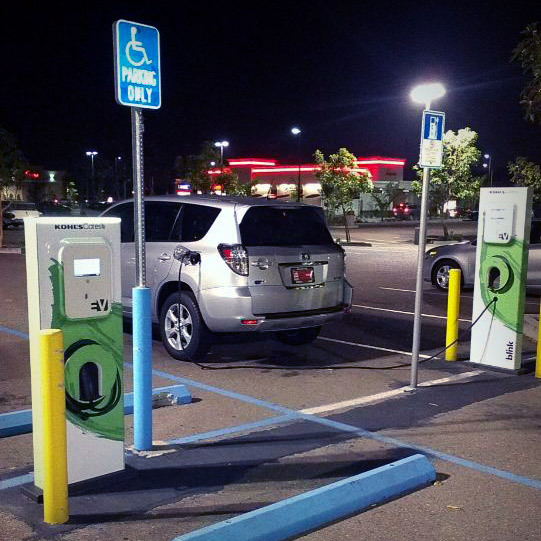 This design was rolled out nationwide at Kohl’s locations to support the Blink Network’s and Kohl’s EV charging infrastructure. This design carefully wraps the Kohl’s Cares iconic leaf around the charger. Charger and wrap graphics installed at a Kohl’s department store (2013). Wrap graphics for three sizes of chargers. 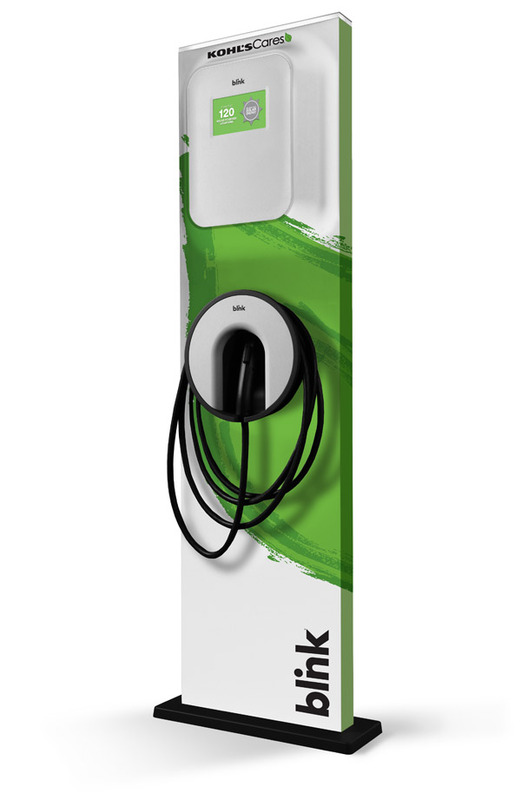 Concept illustration showing a Blink VQ electric vehicle charger wrapped with Kohl’s Cares branding.